Just the name sounds romantic. I'm still swooning over this new kit. Paper Made Bakery introduced this new kit for May 2012 on Tuesday. I couldn't wait to play with all the pretty little bits in this kit. 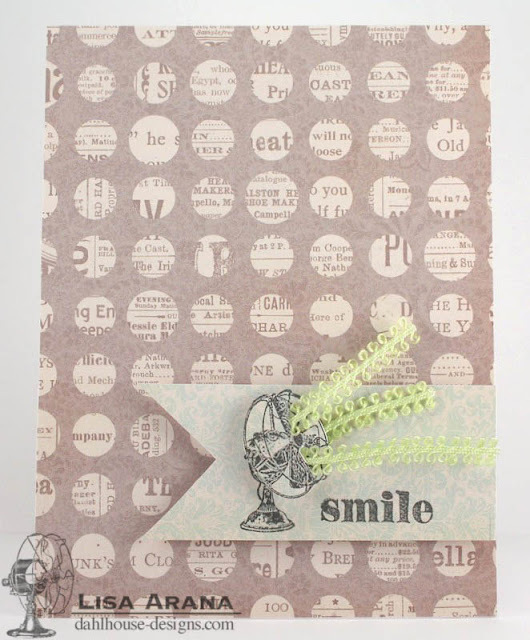 It features lots of Pink Paislee lovelies... stamps, papers and die cuts. Plus, an abundant mix of beautiful embellishments. I wanted to share that even though this kit is super girlie looking, it is possible to get a masculine card out of it as well. I adore this vintage fan. I imagined the breeze it must create and a light bulb went off. The green ribbon included in the kit would work perfect. I stamped the fan twice, once on the ribbon banner and then trimmed out the second one to pop up. Using an X-acto knife, I cut out little areas to slip the ribbon in. An instant breeze sure to make anyone smile. Hurry and get you kit now! This one is too sweet to pass up. Loveeeeeeeee this!! LOVING how you used the ribbons!! lisa, this is so fabulous!! love it! This card seems like a breeze to make, sorry couldn't help it, love the action you created. So cute :) I love the breeze, made me smile! My love of vintage, kitchy-type stuff goes hand-in-hand with the passion I have for paper crafts. This love translates into all I bring to Paper Made Bakery. I frequently teach paper crafts and card making, so if you're in the San Diego area, join us as we get together and create! Click on CLASSES in the menu above for details. Baker's Dozen a Big Hit! Come Back & Visit Soon!